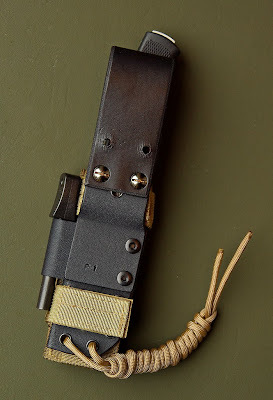 first update of the decade.. 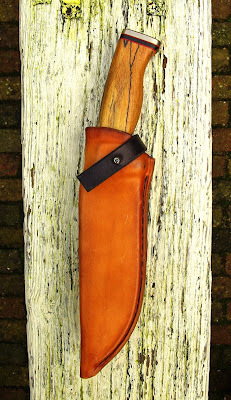 Incredible fit and finish on this first knife made by Jurgen Krebbekx from the Netherlands. 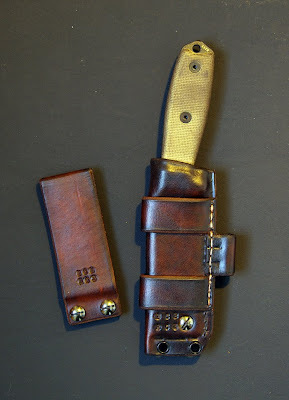 It was an honour to build a matching sheath. 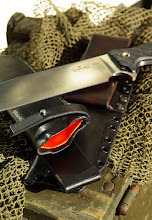 The inside is lined with signal red kydex. 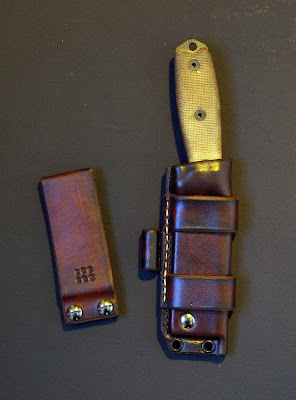 Some crappy telephone pics put together, but you'll get the idea. 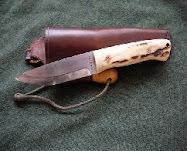 The sheath has a soft veggietanned inner, and a hard and stiff halftanned outers. 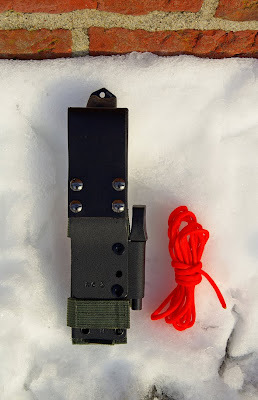 On the front a sharpener. 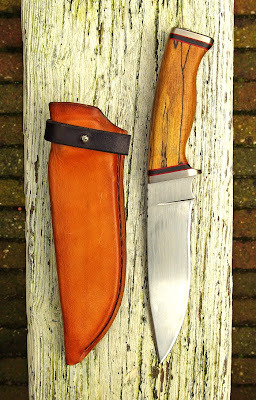 A Droppoint Hunter by Andrew Jordan. 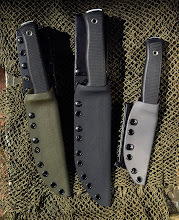 a couple more for the Dan Koster Bushcraft knife. 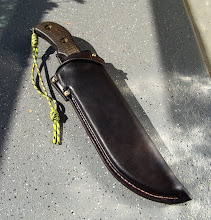 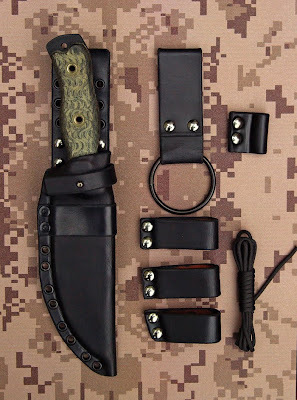 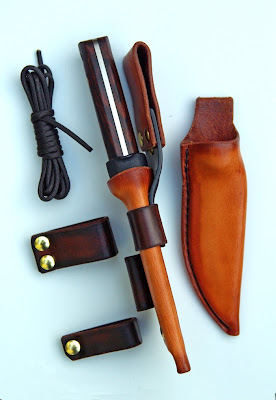 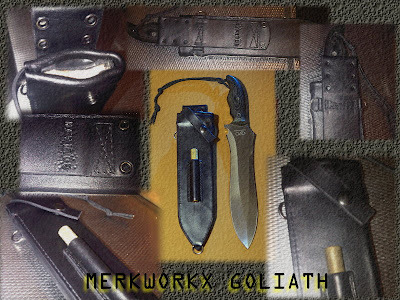 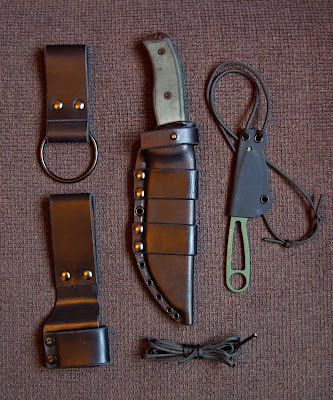 The same model sheath on the Busse Tankbuster and the Rat Cutlery RC-6. 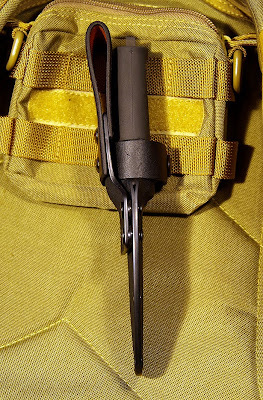 It has a fixed kydex liner. 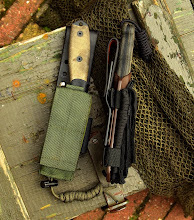 Also another "Owl" for the Izula. 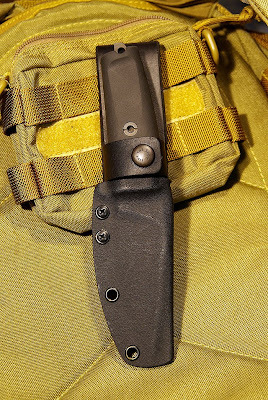 Semi Technical Leather with a fixed kydex liner. 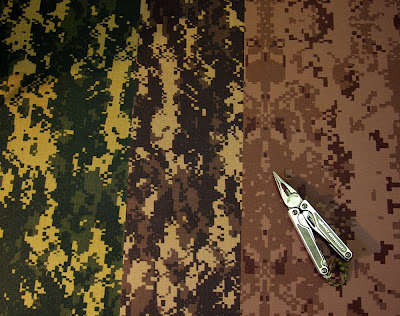 Digi Camo Kydex in the following patterns. 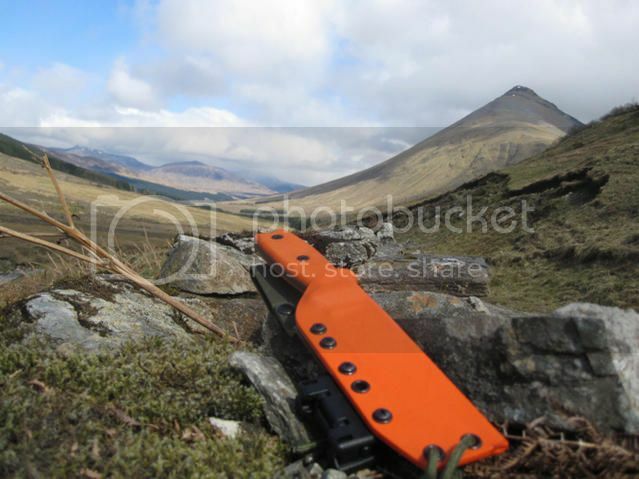 Also limited available: Polar White and Ivory White. 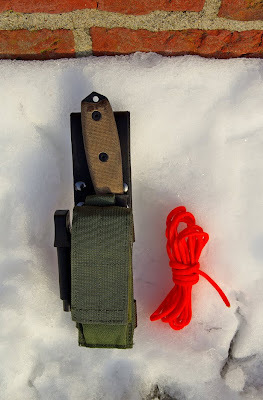 Some examples of the Technical Bushcraft + Survival Sheath on the Fällkniven F-1 and the Rat Cutlery RC-3. 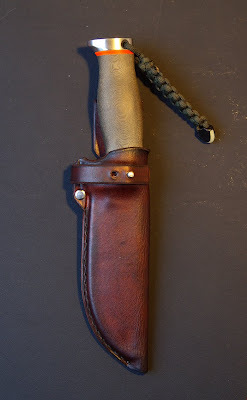 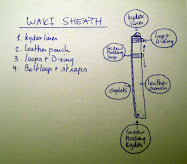 The original sheath is improved and doesn't rattle anymore. 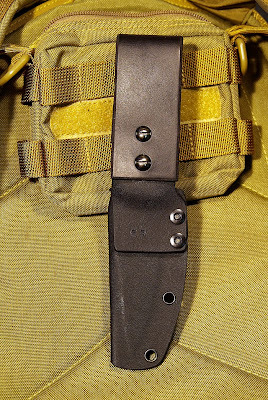 They put a piece of foam like stuff in the bottom of the sheath that takes and imobilizes the tip of the knife.. 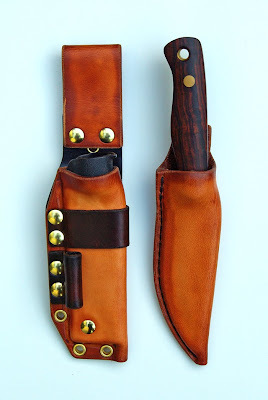 Very nifty.. 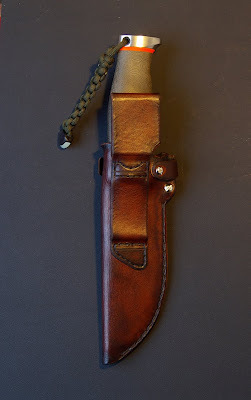 The sheath does blunt the edge very easily, so I had to make me a new one. 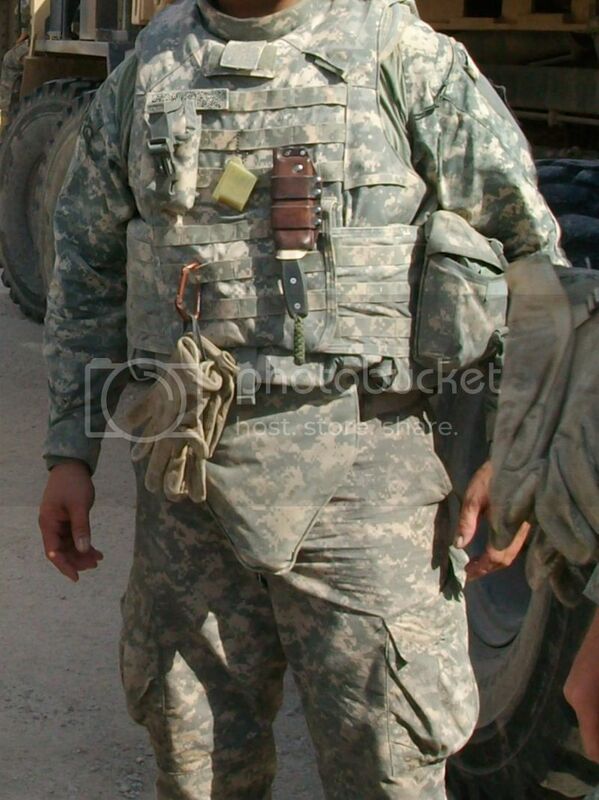 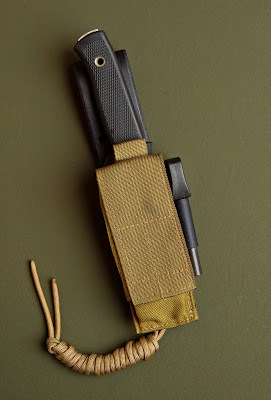 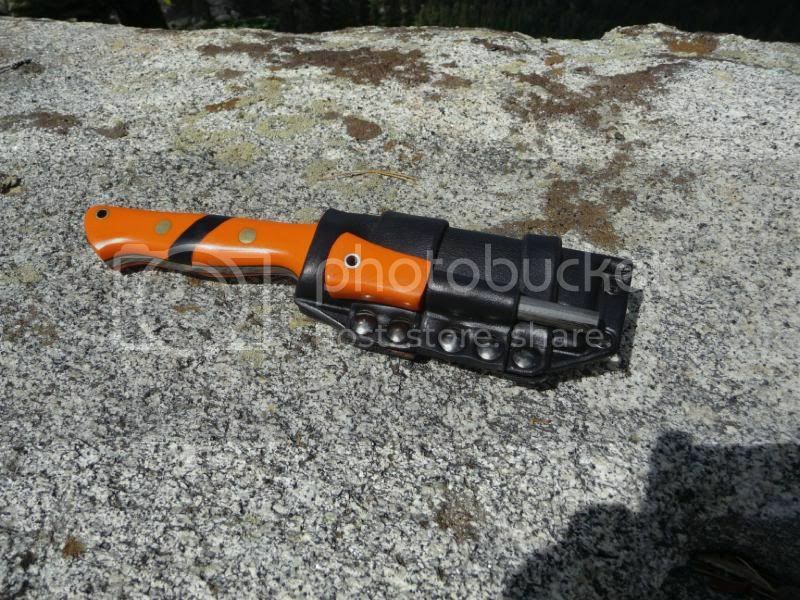 The retentionstrap can be screwed of, and both sheath and backplate take a teklok.